eNlight automatically adjusts RAM & CPU resources to suit workload variations of Hindujatech.com. We get billed only for actual resources consumed. ESDS provided phenomenal support during the recent difficult situation of Chennai floods. Satish Balasubramani, IT Head, Hinduja Tech Ltd. It is the best place to host your business apps. The quality of services you provide has exceeded our expectations. Undoubtedly, ESDS has been instrumental in providing great support to start ups. Wonderful experience with Exuberant ESDS. 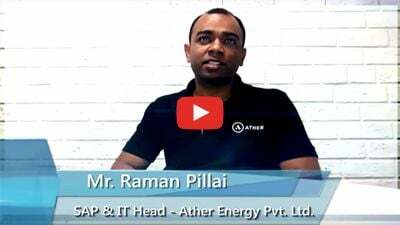 Mohan Kumar, Director, Ample Softwares Pvt. Ltd. They are determined about their customers and believe in quality. Our mission-critical ERP is running smoothly on ESDS's servers. We experienced quick resolutions with ESDS. They have formulated a good system for providing technical support. Staff is always enthusiastic. In fact, we are now looking forward to further extend services in ESDS's datacenter because of their quality services. We plan to add and upgrade servers for back-ups, and plan to develop a "Bio-Metric Selfie" attendance system with payroll for which we are confident that ESDS will extend similar level of support and proficiency. Good Regards to ESDS. Sindhudurg Disrict Central Co-op. Bank Ltd.
We extend regards to your team for being our trusted solution provider. When it is ESDS, we do not have to worry. Glad to notice the dedication in your organization to support us end-to-end in our technology requirements - be it Portal development or hosting apps. With your expert solutions & excellent support, automation of our processes was smooth. Thanks to your uptime standards because of which our web presence has increased significantly. It is a pleasure to join hands with you. Oghale, IT-Head, The Sindhudurg District Central Co. Op. Bank Ltd.
On behalf of team NBI, let me extend my sincere thanks and compliments to you, your delivery team and the team ESDS for extending prompt support in setting up the system for hosting our application. We look forward for your continuous support and having long term business relationship with team ESDS. We would like to express our satisfaction with Data Center Services provided by ESDS Software Solution Pvt. Ltd. ESDS Team is extremely responsive & provides seamless resolution for any incident or requirement 24x7. Our special thanks to some of the ESDS team mates who extended their unflinching support 24x7 and whose involvement made this complex SAP HANA hosting and production go live experience so seamless. You have set our expectations high. We trust that you will continue to provide this level of support and proactive response in the years to come. We wish you all the best. We have complete confidence in ESDS Services and would always recommend them for their expertise, thoroughness, and perseverance to getting things right. Nilesh Shah, CIO, Symphony Limited. "This is to certify that ESDS Data Centre, Nashik has provided their data center facility and dedicated servers for hosting the database of Kerala Government computerisation projects being implemented by Centre for Development of Imaging Technology (C-DIT) for the past eight months. Their performance has been excellent with near zero downtime and prompt technical support." "Throughout the year our website experiences extremely dynamic traffic patterns and the elasticity provided by eNlight ensures 100% availability to manage the varying traffic load. Additionally with flexible deployment options combined with high levels of security standards makes eNlight the perfect fit for our brand requirement. Finally, the pay-per-consume model ensures we have complete visibility and control over spend." 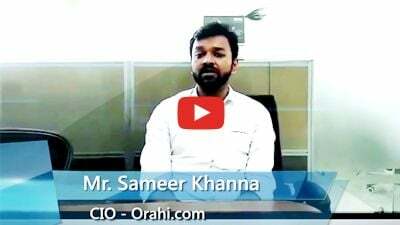 ORAHI is India's most trusted and widely used ridesharing and carpool app. To support instant and LIVE transactions for thousands of members, "we chose ESDS as our datacenter hosting partner. For all requirements in the past 2 years (of a rapidly growing start-up), ESDS' sales, service & support teams have been impeccable." "We have been using ESDS service for hosting of SAP and Exchange disaster recovery servers using ESDS cloud services for past one year and I have been pleasantly surprised by the technical support and commitment shown by ESDS team right from word go i.e. implementation, day to day support and conducting DR drills." "I hope you will continue to excel and wish you all the best for future!!" 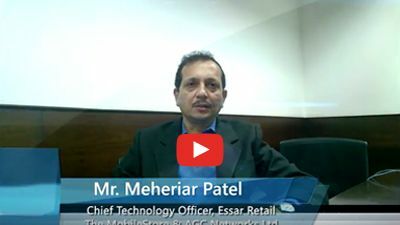 Mr. Prakash Dharmani, Global CIO Essel Propack Limited, Mumbai. ESDS is a new age technology company which is a single stopshop for your HANA needs! ESDS gave me confidence with putting up SAP HANA Infrastructure, and the best way to maintain it. We feel comfortable to work with ESDS as we have a single point of contact for everything we want. There's high flexibility in pricing model. ESDS' cloud has vertical scaling abilities, security certifications and overall, the team has required skill-sets to manage hosted SAP/ HANA. The company provides a certified and security compliant datacenter and cloud solutiong which is scalable upto 'n'th node. It has been a phenominal experience with ESDS. Support is a core thing we liked about ESDS. Also, the commitment and the solution itself are some of the key points of ESDS. The unique feature, pay-per-use billing has helped Essar Group save costs maintaining high level of performance. We have moved all our mission-critical data to eNlight Cloud. We wanted to focus on our core-business and avoid shift of focus to IT concerns, thus, we decided to outsource our IT operations. We found ESDS appropriate for our SAP hosting needs due to costing model, security compliances and certified infrastructure. 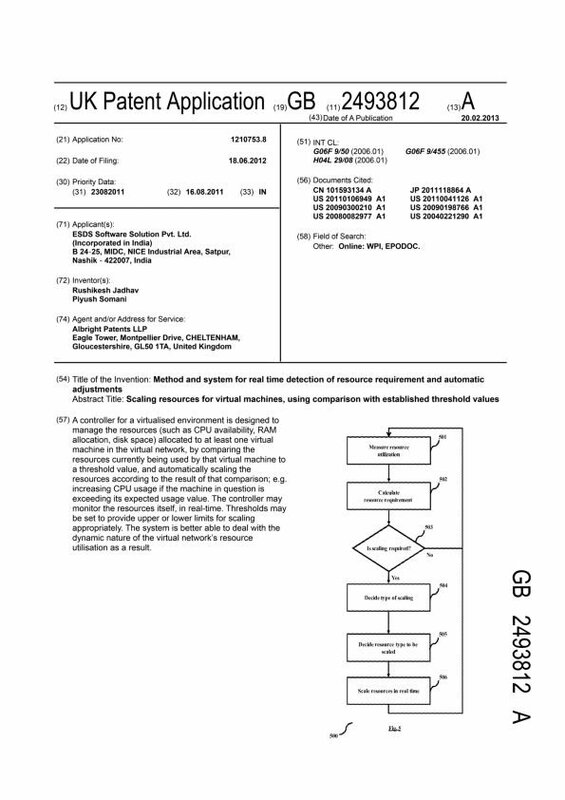 Moreover, the patented cloud eNlight gives us all the confidence we need to host mission critical SAP- Highly Recommended! In our roadmap to SAP S/4 HANA deployment, we developed full confidence in ESDS as it is the only Data Center in India with active Uptime Tier III Certification which is instrumental in making SAP S/4 HANA migration successful. Highly impressed with ESDS' qualified manpower and experience at managing S/4 HANA operations. We got the right scale, security for HANA and non-HANA Infrastructure on eNlight cloud. Only ESDS provides pay-per-consume model, which is a wise step towards reducing CAPEX & lower TCO! We are happy that we offloaded our HANA deployment to the tech savvy young IT Team of ESDS, who takes care of Shilpa's business end-to-end. ESDS is reliable and we can authenticate and ensure that our all data will be secure. ESDS already has many reputed clients hosting DR with ESDS. We selected cloud based SAP DR module due to scalability, pay-per-consume features. ESDS is a perfect Value Adding Partner for our Organisation! Look no further, ESDS is best Cloud Service Provider! The varying traffic didn't have an impact on server speed. With 100% uptime, we could accomodate many users at a given time. Virtual autoscaling technology is the highlight. Customer Service is fast and efficient. It's been an amazing experience working with ESDS. I moved to an area where the entire DC, IT infrastructure is managed by the team.The customer is free from IT concerns! The managed services help me concentrate on strategic business initiatives! ESDS is a good partner to work with and our experience is the best! To eliminate the IT related concerns, we wantd to move our IT infrastructure to cloud such that we are left with our main manufacturing business. ESDS has a unique feature of pay-per-use with transperancy in billing. The staff at ESDS, with good commercial and technological know-how, offered us tailor-made solution i.e. exactly what we wanted. We sucessfully shifted our ERP to eNlight in about 45 days. ESDS provides the best servers in India! For our online business needs, we used ESDS servers. The technical people here co-operative with a good understanding of client needs. The time taken for going live with the services are minimal like a 20-20 match. Our technical heads and poeple in technical departments are highly satisfied with the fantastic services provided by ESDS. We evaluated most of the cloud service providers for hosting our SAP S4 HANA and we found that eNlight Cloud is a state-of-the-art cloud hosting solution with a built-in ability to automatically scale CPU, RAM and STORAGE on-demand. eNlight, powered by "intelli-sense" technology, automatically adjusts resources of a virtual machine depending on the application load and it also provides minute-to-minute usage and billing of CPU, RAM, Bandwidth and Hard Disk space of each virtual machine. My experience with ESDS is very good so far. Alkesh Patel, IT Head, Windsor Machines Ltd.
Avlight Auto Components Pvt. Ltd.
AVlight is a growing company with a great potential. With minimum or no in-house IT capabilities, it was difficult for us to manage and maintain our IT infrastructure. We were looking for a service provider who can fully understand and provide a cost effective, & best fit solution to implement AVlight's SAP environment. It's been one year we have been associated and haven't seen a single instance of downtime yet. Really happy with the seamless service and support offered by ESDS. We definitely recommend ESDS. Rohit Dhar, Finance Head, AVlight Automatives Ltd. The ESDS - efficient service delivered seamlessly. Close to zero downtime, technically competent support staff, quick TAT, let's us focus on achieving more out of our SAP rather than looking after and be bogged with infrastructure. While cloud is all about business transformation, their elastic auto provisioning tech actually helps us save money too. We are happy we took the journey with ESDS. We were looking for a cost effective and flexible cloud solution to host Flovel's SAP environment. We needed someone with a previous experience in manufacturing sector. ESDS was the right choice for Flovel, as they provide customized solutions and have relevant experience with similar organizations. eNlight has good features like auto-scalability. We feel we are in safe hands. We are glad to be associated with ESDS and recommend ESDS to our partners and clients. S.D Sharma, Associate Vice President, Flovel Energy Pvt. Ltd.
ESDS has extended excellent SAP Hosting Services. They have demonstrated wonderful capabilities in managing Taparia's entire SAP ecosystem and back up services in their Data Center. It's been 5 years of association with ESDS, we have experienced that our online presence is being managed by experts and therefore wish to continue our long term association with ESDSians. The eMagic tool of ESDS provides an overview of whats going on in our network and various components of our applications. eMagic helped us improve uptime by giving us alerts at proper time for proper utilization of resources. eMagic has been a great use to us to consolidate our Infrastructure. ESDS team treated our problem as theirs, collaborated with us ensuring right solutions! We have been using ESDS eMagic and we are impressed with the solution. It has helped Fleetguard in managing its IT assets, DC operations and servers effectively. For DCIM solutions, eMagic is an intelligent choice. 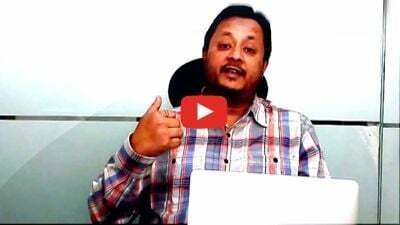 Madhav Bhole, Head - ERP & IT, Fleetguard Filters Pvt. Ltd.
"We are very happy to enjoy the services of a Fully Managed Hosting with 100% uptime guarantee." ESDS has wonderfully supported us with not just DR solution, but with technology consultation and adoption. We had forecasted DR requirement for Sadhana Sahakari Bank Ltd, Pune with the help of ESDS's proactive approach. The kind of work ESDS has done is commendable. DR site is up and fully functional with regular DR Drills & testing performed at least twice a year. The bank highly appreciates ESDS support with the successful & efficient transition of its 28 branches to the DR site having ensured that the banks operations don't get hampered during any natural or man-made disaster. "We are very impressed with your hosting techniques and the excellent support received from your team is highly appreciated." We were looking out for a quality Data Center where resources can be available as & when required. In today's digital world, all services from bank have to work 24x7. In the same way as an application vendor, we were supposed to provide same kind of backup to banks. Therefore we were also looking for prompt services from a Data Center Partner who is well equipped, has a good setup, has a quality Data Center, is cost effective & provides flexibility in operations. We visited ESDS Data Center in Nashik as well as at Mahape. At ESDS Data Center, onboarding time is very minimal, they have a good team to support with round the clock operations, cost effective and have flexibility in operations. ESDS Data Center Services is a very Good option. One should look at it before finalizing any decision. Yogesh Paralkar, SBU Head (India), Infrasoft Technologies Ltd.
Nagar Urban Co-op. Bank Ltd.
We appreciate the exuberant support services provided by ESDS team. Our experience with windows, database and support teams has been great. Whenever there is any concern, we have received prompt responses. ESDS genuinely cares for their customers. Well done, team. Sudhakar Kandekar, Administrative officer, Nagar Urban Co-op. Bank Ltd. Wonderful journey, great people. Pravara was deeply involved into acquiring the right technology provider for DC and DR setups with prior experience and high expertise. Along with that, we required a vendor who could provide us with customized solutions. Since day one, ESDS has proven to be the best solution provider for Pravara by provisioning for customized computing resources, adhering to their promise of 100% uptime across Pravara's 31 branches. They've extended great support and security services. Kakasaheb Kanade, EDP Manager, Pravara Co-op. Bank Ltd.
Shahada Peoples Co-operative Bank Ltd.
ESDS has supported Shahada Bank with excellent technology and services through their unique eNlight cloud platform. Our bank has benefitted from eNlight's scalability and especially pay-per-use model. As per RBI guidelines, Shahada has been able to onboard the best cloud technology on a highly secure and auto scalable platform, offered by eNlight. Staff at ESDS is always ready to help. We have great relation with ESDS and wonderful working experience with ESDS. Thanks and Congratulations, ESDS. Lalit Chaudhari, IT Manager, The Shahada Peoples Co-op. Bank Ltd.
eNlight has Vertical integration and Cloud Burst capabilities for Hadoop BigData! Hadoop Bigdata has large file structures and we needed a cloud that can auto-scale and accomodate large files. With eNlight, we have capacity available at demand and it is paid as per comsumption. Security is an important aspect and it is becoming more important as organisations are maturing. The way team ESDS consolidated J. M. Baxi's web portals is commendable. The in-house team has excellent capabilities to manage infrastructure and the simplicity with which they do it, is amazing. With ESDS, the TAT for our business going live drastically reduced to a few days, with utmost focus on security. One of the best features offered by eNlight cloud platform is the pay-per-use algorithm which is a real advantage to us, as we need to pay only for the compute resources we use. Pay-per-use is ESDS's USP. With the kind of association we have had, we look forward to engaging with ESDS for hosting few other critical customer facing applications onto the cloud, using products like eMagic for effective infrastructure monitoring and asset management. Prasad Patil, Group CTO, J. M. Baxi & Co.
We extend our thanks to a leading IT Firm ESDS for their valuable support to many of our projects with their 24 x 7 continuous support. They provide excellent solutions in IT Infrastructure for our Microsoft Dynamics NAV ERP, Zimbra Email and other hosting requirements. We also appreciate them extensively for their eNlight cloud hosting techniques. And we wish them Best of luck for their future initiatives. Mahendra Borse, IT Manager, Empire Spices and Foods Ltd.
"I am a customer with Host.co.in and I have excellent support from the CRM support team." Datamatics Software Services Ltd. Mumbai. "Have been on ESDS for almost 3 years now. System is LIVE and the load is increasing everyday. ESDS handles it well. Right from Mahavir in the sales team to Kunal in CRM team and the level 2 support team. It has been a great exp. Thanks guys !! YouRock ! " S. N. TELECOM, Kandivali (E), Mumbai. Raigad District Central Co-op Bank Ltd.
"I have been using ESDS for past 2 years and I like it. its simple to use and reliable." Raigad District Central Co-op. Bank Ltd. Alibaug. "Last three years we are using their service. We are happy with their services." Winjit Technologies Pvt. Ltd. Nashik. We appreciate the efforts of ESDS in development of well-designed MUDRA website (mudra.org.in) in record time. C. R. Sadagoban, DGM-Systems, MUDRA Ltd. I am pleased to see that the management and staff at ESDS are always very professional, prompt & knowledgeable, providing us with fairly specialized technology consulting services. In this diverse and technical field of Information Technology, it can be fairly challenging to find such qualified resources. ESDS has a positive effect on our IT budgets and resulted in substantial savings while moving from managed hosting option to dedicated. Our MPA-IT Division has relied upon ESDS's expertise when configuring our Learning Management System for our e-learning project, and we worked with ESDS and C-DAC when planning our e-learning strategy. Hence their hosting solution has been instrumental in positively affecting our academy's virtual presence. The relationship between Maharashtra Police Academy and ESDS over the last 5 years has been mutually rewarding and very successful. I would not hesitate to involve ESDS in our future projects, and I can recommend them with complete confidence. ESDS has been successfully carrying out the work of "Provision of Data Centre for Disaster Recovery and Hosting the Online Applications of NMC on Cloud" as per the scope of work defined in work order. The work successfully started from 13.01.2014 and web portal has been hosted at ESDS Datacentre, Nashik (Maharashtra) ESDS software solution private limited is performing content provision of Datacentre for Disaster Recovery and hosting the online applications of NMC on Cloud as and when required and their performance has been satisfactory. eNlight's Features were the best fit for The Mobile Store. ESDS has fulfilled all the parameters of a Cloud service provider including certifications, capability matrix, Back-up/DR facilities, resource management, security features, skill sets -everything. We are happy with the seamless and smooth transition of our existing infrastructure on eNlight cloud platform. Thanks Team ESDS !!! While moving to the PAN India platform, we wanted all our construction sites to be connected and data to be readily available. We wanted a cost effective solution and 100% availability for systems in our IT infrastructure. While evaluating DR on ESDS eNlight, we conducted a DR drill and the data was available within few minutes of switch on and off the DR site. Good to go DR solution when looking for reliable, cost-effective Solution! Sandeep Jamdagni, IT Head, Ashiana Housing Ltd.
M/S Kafila Hospitality and travels Pvt. Ltd.
"We are very happy with the way eNlight has exceeded our expectation when it comes to seamless scalability and uptime." Mr. Pradeep Chadha, M.D. Kafila Tours & Travel. Good service. Good provider of server hosting. Nice customer support. We were hosting the site with an international vendor before we moved to ESDS. Initially we faced some issues but after 2 weeks was able to look at a more suitable product to take care of our hosting needs. The added advantage is they are located in India. 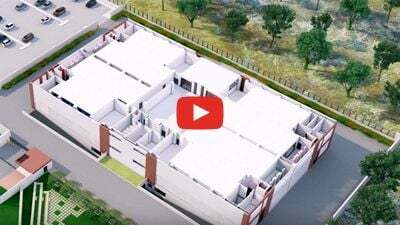 Mr. Vaibhav Newatiya Berger Paints India Ltd.